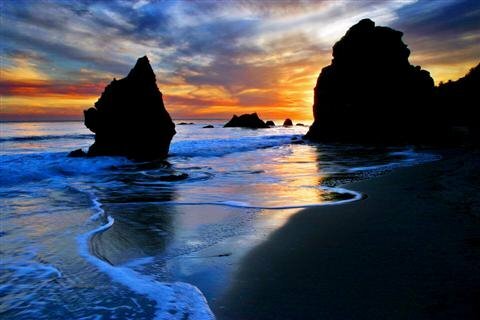 Winters along California's beaches are magnificent for photography. I wait for a clearing storm and pack up my gear and hit the road. My favorite location is Malibu. 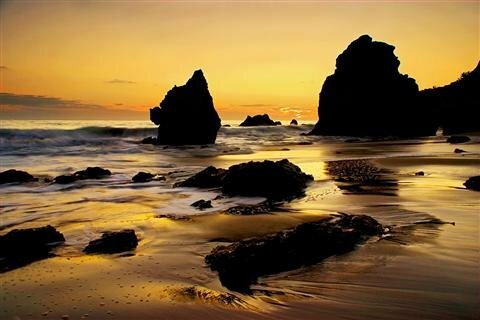 There are many beaches but my two top picks are El Matador State Beach and Leo Carrillo State Beach. Along the way there are long stretches of rolling hills with beautiful oaks. 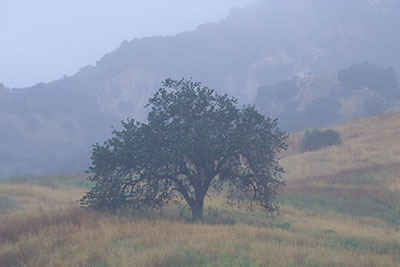 You can stop at Malibu Creek State Park in the morning or you can camp here and photograph the oaks in the early morning fog and then catch the sunset at one of the beaches. Matador State Beach has some great sea stacks and the sun sets between the stacks in mid winter. 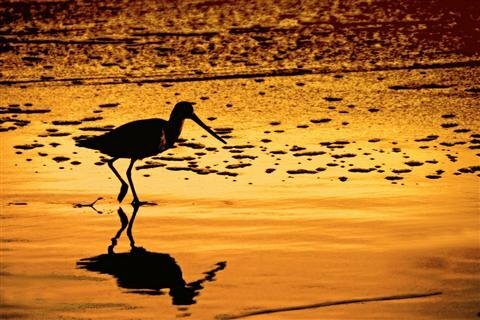 I look for shorebirds, rock formations and pools of color once the sun begins to set. If you're patient you can find s-curves that develop along the shoreline. The dirt parking lot closes right after sunset so you'll have scamper up the two hundred or so steps back up to your car. 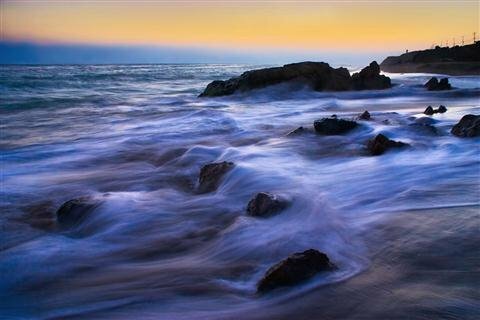 Leo Carrillo State Beach has camping and a day use charge. The park has lots of parking close to beach. 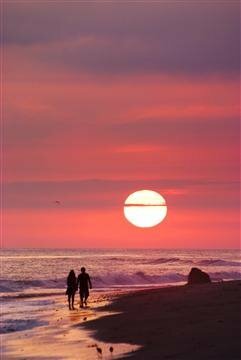 If you have a summer storm Matador Beach will be in shadow during the summer and here at Leo Carrillo it will be picture perfect. Afterwards you might want to drive down to Gladstone's. They have great seafood and they're located right on the water. Have fun at the locations I've mentioned here but do some exploring on your own. I continue to find fantastic places along Malibu's shoreline.